Keep fresh herbs in good condition in our tailor made herb pot. Designed to accommodate fresh herbs sold in square plastic pots in supermarkets. The plastic pot will fit directly into our herb pot for no mess storage on the kitchen windowsill. 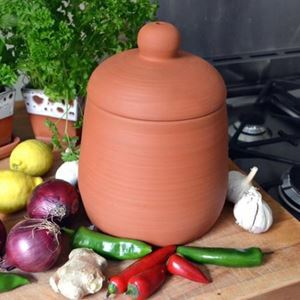 The pot interior is glazed to prevent leakage & there is no drainage hole so no saucer required. Simply remove herbs for watering, allow to drain & then replace. With careful watering herbs will remain fresh & in good condition for several weeks. 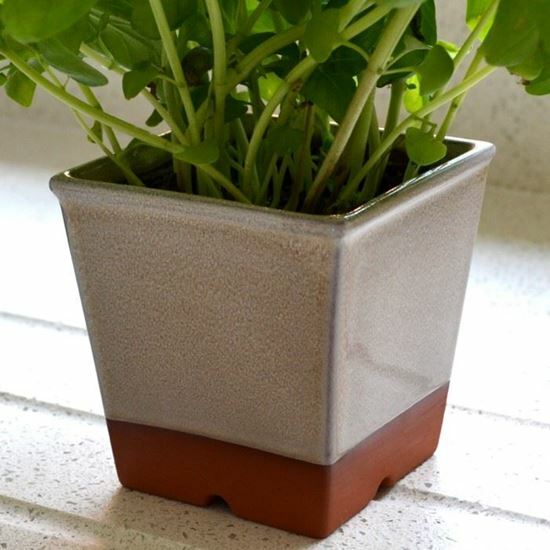 This herb pot with cream glaze finish will look at home in any kitchen. Made at our UK pottery studio in Newark, Notts.